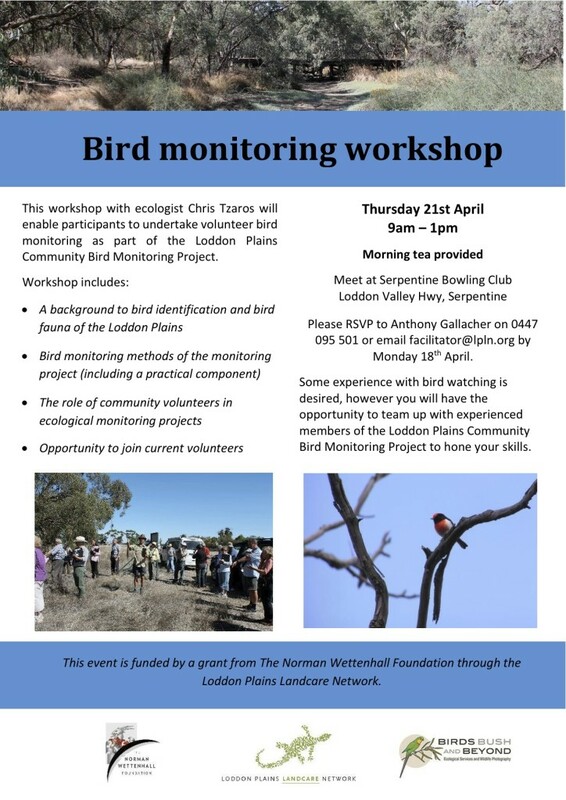 The Loddon Plains Landcare Network runs workshops and education sessions as part of our GOANNA Project. Workshops generally consist of landscape restoration, sustainable agriculture and Landcare related topics and endeavour to engage high quality speakers on relevant and informative topics for the local community. Workshops are open to the Network and wider community. There are currently no more workshops planned. Please check back again soon! To register your interest in attending one of these workshops when they occur, please contact us or subscribe your email to the website to keep up to date with events and information from the Network.